As of November 2015, Alpine Sports has changed hands and is now owned and operated by husband & wife team, Jeremy & Shirlee Cole. With the motto 'Go Big or Go Home' the Cole's also welcomed their 1st child, Roscoe Cole to the family in late October. Jeremy has been working in the specialty outdoor world for over twenty years having worked at some of the best ski & bike shops in the Northwest. He is a wealth of knowledge and is dedicated to giving Alpines' customers the best experience possible. Not to be outdone, Shirlee has years of customer service experience as well as personal training. It is the Cole’s heart felt hope to continue the Chalker’s passion for the outdoors and the Santa Fe community and continue their legacy. The owner/operators of Alpine Sports, Harvey and Reserl Chalker, met back in 1956 at the Garmisch Ski Resort in Bavaria, Germany. Harvey was in the US Army and working as a ski patrolman stationed in Garmisch, and Reserl was one of the local ski experts. Reserl came to the U.S. in 1958 and Harvey and Reserl were married soon afterward in 1959. In 1964 they together opened the first Alpine Sports at Santa Fe Ski Basin, as the local ski mountain was known back then. In 1966 they moved to a location on Marcy Street, and then in 1971 moved into their present location on Sandoval Street. Alpine Sports continues to be a family operation. 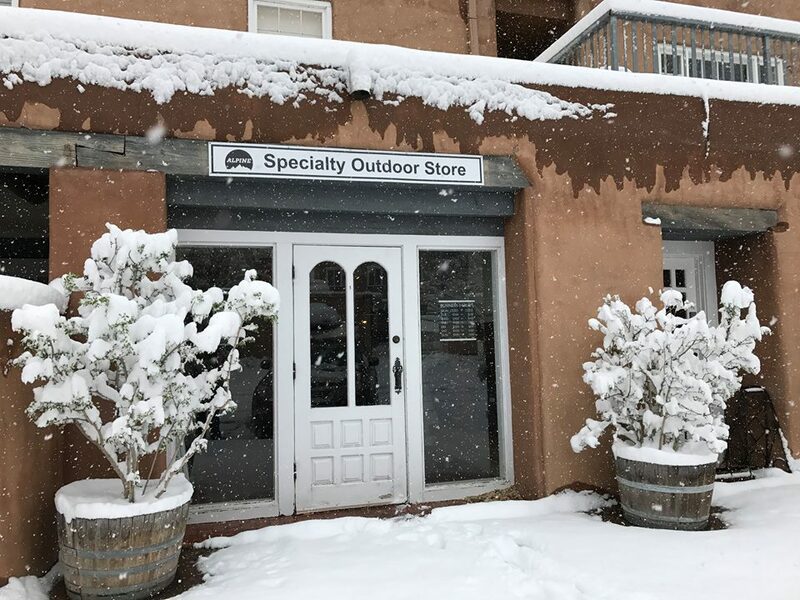 For 50 years, Harvey, Reserl, and their highly trained staff have sustained high quality customer service and have provided New Mexico with the best ski gear on the market. Alpine Sports has been awarded “Rocky Mountain Ski Shop of the Year” two times within the last 5 years by Ski Magazine. They also have been awarded “Gold Medal SKi Shop” by Ski Magazine multiple times. In 2006, Harvey and Reserl were inducted into the New Mexico Skiers Hall of Fame as a direct result of their contributions to the sport of skiing in New Mexico.